KATHMANDU, Jan 13: The Ministry of Culture, Tourism and Civil Aviation has relaxed the requirements for starred hotels in urban as well as rural areas in a notice produced on December 12th. 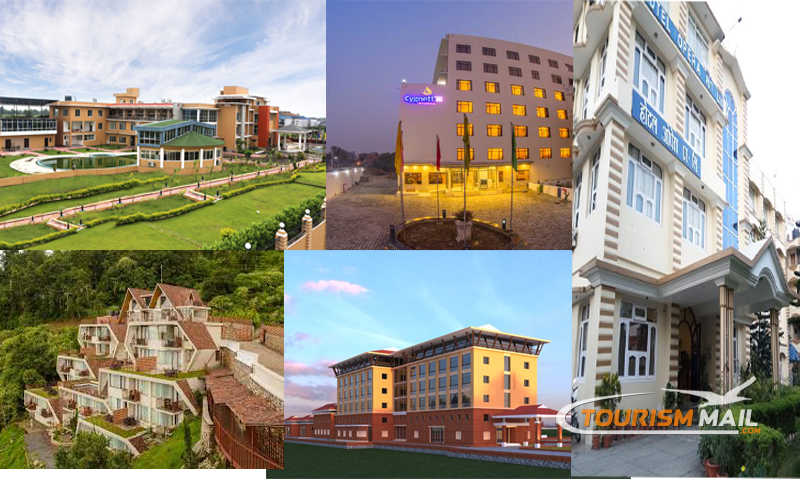 According to the updated requirements, starred hotels opening in rural and Himalayan regions have lower requirements for the star categorization than hotels opening in the urban areas. The notice on October 21st had set the same requirements to hotels built in urban areas as well as rural areas. The latest update was made in response to demand by entrepreneurs for lower requirements for hotels in rural areas. The old requirements for 5-star hotels included a compulsory swimming pool and a children’s swimming pool, and also demanded that the swimming pool and sunbathing area be surrounded by trees and flora for privacy. The requirement has been relaxed for hotels in the Himalayan regions where swimming pools are not compulsory. The minimum number of rooms for 5-star hotels outside Kathmandu valley has also been dropped from 100 to 80. The requirements for 4-star hotels have also made swimming pools optional for hotels in the Himalayan regions. The minimum number of rooms for hotels inside Kathmandu valley is 80, and for hotels outside the valley the minimum rooms have been set at 60. The hotels of lower star ratings are not required to build a parking area if there are no roadways reaching them. Also, the minimum room requirements for 3-star hotels outside the valley have been dropped from 60 to 45. For 2-star hotels outside the valley, the number has been dropped from 40 to 30, and for 1-star hotels the number has been reduced from 20 to 15. The General Secretary of Hotel Association Nepal (HAN), Binayak Shah, said that these amendments have not addressed the demands of hotel entrepreneurs. In the remote tourist locations like Lukla and Namche, it is more feasible to build hotels with smaller capacities which provide international level service. The Ministry of Culture, Tourism, and Civil Aviation designs the requirements for star hotels according to international measures. Shah believes that these standards do not fit the situation of Nepal completely. The Ministry of Tourism has not amended the requirements for tourist hotels, resorts, and five-star deluxe hotels. Five-star deluxe hotels are ratings given to hotels with a minimum of 200 rooms. Among the large number of measures used by the ministry to rate starred hotels, only a few requirements relating to number of rooms and some facilities have been amended.